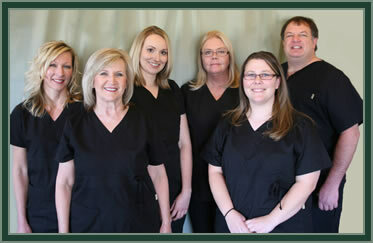 Diane is a registered dental hygienist and worked with Dr. Woodruff since 1995. After 45 years as a Dental Hygienist Diane is ready to reap the benefits of retirement. She will get to spend more time playing golf, fishing, traveling, and spoiling her grandchildren! Dr. Woodruff fondly refers to her as his "Emeritus Hygienist" as she is indeed retired, but is keeping her license Active and has graciously agreed to return to fill in when needed on occasion. Diane has been a valuable asset to the health community with her skills, experience, and engaging personality. She has always cared for and about her patients, learning about them, sharing with them, putting them at ease, educating them, and helping them to achieve optimal oral health. She has valued each and every smile. A graduate from Wichita State University's excellent hygiene program, Diane has always done the best job possible. She retires a top professional in her field.